Holding it all together in style! Craybands are replacing traditional hairbands with a non-snagging, durable and soft elastic, that doesn’t leave dents and are gentle on hair and skin. Craybands sit stylishly on the wrist when not in use. They have a universal appeal to a variety of demographic. After years of owning salons and seeing how hairbands break easily, damage hair and are unsightly on the wrist, Craybands creators saw an opportunity to launch a product that was non-snagging, gentle on hair, causes less breakages, are less damaging and simply more stylish. 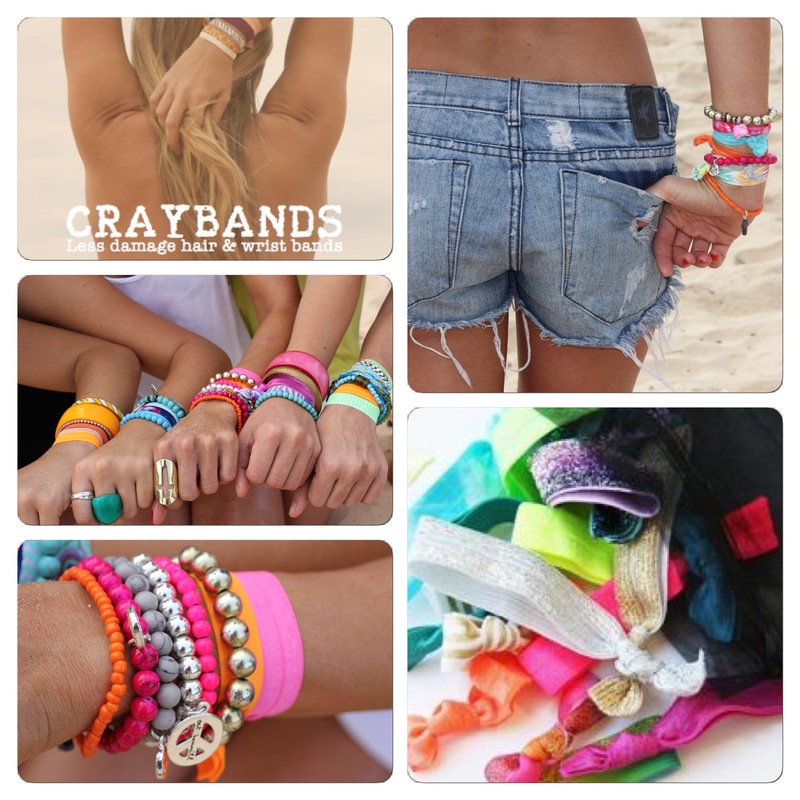 Solution: Craybands hair and wrist bands – the latest hairbands hitting salons nationally – craybands.com.au. Available in a huge variety of colours and patterns to complement any style, they are afford able enough to mix and match with every outfit and look great in your hair or on your wrist! Today you can WIN your very own Craybands! We have a gorgeous Craybands Prize Pack to giveaway to one lucky person. To enter simply finish this sentence: The best way to stay cool this summer is …….? The best way to keep cool this summer is chilling out at the beach. The ocean breeze, a dip in the water and reading a book whilst lazing on a towel. Fruit Pizza is yum healthy and refreshing on a hot summers day..